Now in it’s 8th year, this tournament has grown to over 20 teams annually, showcasing the Children’s Aid Society in the Franklin County Area. Led fully by amazing volunteers, this event showcases the Chambersburg Country Club while supporting our agency through a great round of golf! This event will benefit Children’s Aid Society’s Frances Leiter Center in Chambersburg. • Mulligans and Powerballs will be available. 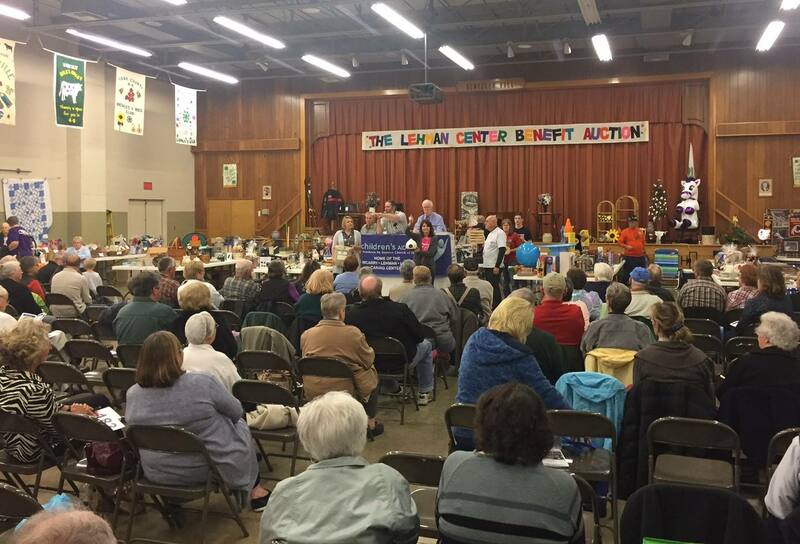 The Annual Auction held annually at the 4-H Center in York, benefits The Lehman Center. This upcoming Auction is the 28th Annual! Good food, gift certificates, baskets, Art, and household items are all showcased at this great event! Themed baskets of all different sorts are available for bidding! Volunteers create baskets of all different varieties and local businesses often donate custom themed baskets to donate to help raise money to benefit the Auction. Handmade as well as professional Jewelry and Art is collected and donated by gracious volunteers and local and international businesses to showcase at the Auction. Each piece is beautiful and is displayed for silent Auction bidding. Make sure to come early and take a look at these great pieces of Art and Jewelry! Donated by local businesses, these gift cards offer a variety of choices around the local area and are a great addition to the Auction. A staple at the Auction, our in house chef's cook local staples to help satisfy your hunger during the Auction. Often many people come early strictly for the food and don't leave hungry! One of the best around, professional Auctioneers showcase donated items and create a festive atmosphere for a live bidding environment. It's not unusual to see a loaf of bread sell for $800 or a batch of cookies go for $1000 (not kidding!). Make sure to come for a great environment and snag a great deal on a great item! Check out a tour of the 27th Annual Auction below! The MMM Tournament seeks to honor the memory of Mel, a long time volunteer who gave countless hours to help ‘The Lehman Center’ through various projects and maintenance at the Center. This helps to memorialize Mel while also raising much needed funds for CAS. Our annual dinner recognizes our donors, volunteers, staff, and community for helping us complete the mission of CAS. Local entertainment creates a festive atmosphere while dining on a delicious meal!